Delphine de Vigan has been flavour of the month in Paris these past couple of years, especially after her book Based on a True Story topped the bestseller lists. 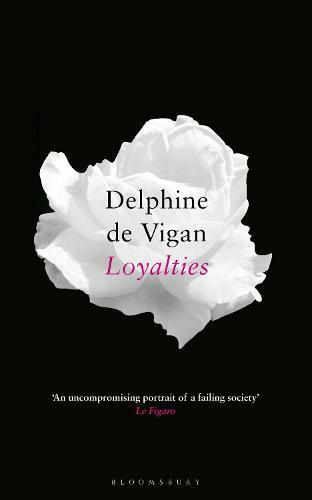 And with the release of her new book Loyalties, this French writer is in the spotlight all over again. Set in current-day Paris, Loyalties kicks off with the story of Helene, a teacher who feels unsettled as she watches one of her students, Theo, disengage from the world around him. Everything about Theo reminds her of her own abusive childhood, but as a reader it’s unclear whether she’s projecting onto him, or if there really is a problem. Then it’s Theo’s turn. The somewhat wayward twelve-nearly-thirteen-year-old son of divorced parents, Theo’s busy trying to negotiate a smooth path between both parents, while at the same time aiming for oblivion to block out the toxic influence each parent has on his life. Next, Theo’s best friend Mathis tells his side of the story: he’s a follower of the more strong-willed Theo, and we start getting a sense that things are about to go very wrong indeed. And then, finally, we have Cecile, Mathis’s mother, who tells the story from her perspective, including a slow-burn reveal of the things she’s discovered on her husband’s computer. All four storylines weave together, with conflicting endgames for all involved. The characters’ backstories aren’t at all what I expected to find, and the shades of grey in each of the relationships are one of the things that makes this story so interesting. Translated from the French by George Miller (who also translated Based on a True Story), this book is insightful and beautifully written. If you feel like something cool and French, give Delphine de Vigan a go. Gabrielle Williams is from Readings Malvern.